Granite Bay Software is a sponsor of the ESO Ultra HD Expedition going on right now in Chile. 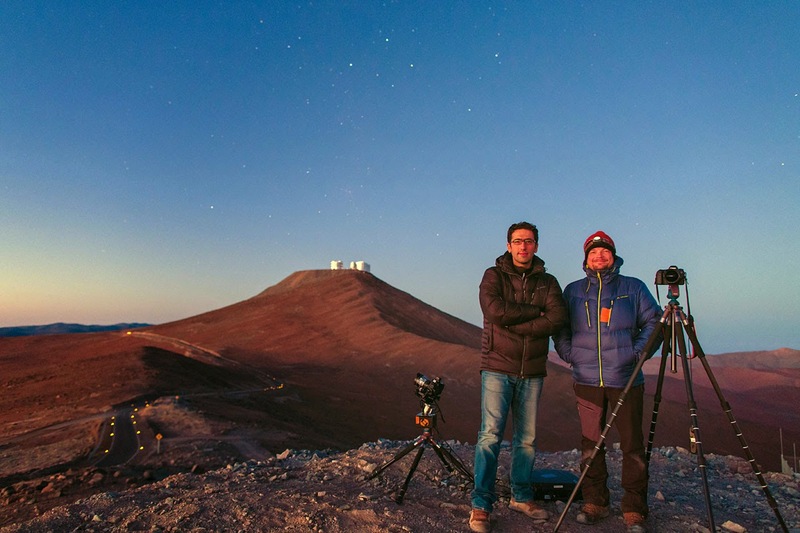 "Four world-renowned astrophotographers and ESO Photo Ambassadors equipped with the powerful Ultra HD tools of the technological front runners, embark on the pioneering ESO Ultra HD Expedition that will capture ESO's three unique observing sites in Chile in all their grandeur." Granite Bay Software is providing GBTimelapse and GBDeflicker, two of the "powerful Utltra HD tools" they are using. Babak Tafreshi and Christoph Mail at the end of a long but productive night’s imaging. The VLT can be seen in the background as the sun rises to the left of the mountain. Credit: ESO/B. Tafreshi. Timewriters of Amersfoort, Netherlands has been using GBTimelapse for over two years. Check out this neat construction time-lapse by Bas Stoffelsen showing a complete building project. Found a minor bug in GBTimelapse 3.9.38. In the AutoRamp settings, it would incorrectly warn you that your computer Time Zone doesn't match the location Time Zone. This little bug just appeared with Daylight Savings Time. If you know your Time Zones match, you can ignore the warning. Or you can just download and install version 3.9.39. GBTimelapse now supports the Dynamic Perception MX3 Motion Controller. With GBT support, the MX3 can do bulb control as short as 0.033 seconds. It's easy to install the special firmware, and it's totally compatible with the standard MX3 1.08 firmware. Before you can use the Dynamic Perception MX3 controller with GBTimelapse you must first install two Windows drivers and then upload the GBTimelapse firmware. Don't worry, it's will only take a few minutes to setup.